The lower end of the camera market is being challenged by smartphones, but advanced and mid-range point-and-shoots are thriving. In 2019, you can get a compact camera with a larger sensor, more megapixels, and more connectivity options and features than ever before (even 4K video is available at this level). Whether you’re a professional looking for a smaller alternative to your DSLR or mirrorless camera, or an amateur looking to improve your photography, below are our picks for the year’s best point-and-shoots. For more background information, see our point-and-shoot comparison table and buying advice below the picks. What we like: More focal length coverage and a faster lens than the Sony RX100 below. What we don’t: No viewfinder or 4K video. Sony dominated the premium point-and-shoot market for years, but Canon has come out swinging with a dizzying array of options. It was a really close call between the G7X Mark II and Sony RX100 for the top spot on the list, but in the end, we gave the nod to the Canon. Both cameras have large image sensors and similar feature sets, but we like the zoom range of the Canon, which goes wider at 24mm instead of 28mm on the Sony (this is much appreciated for landscape photography and other wide-angle uses). Further, the lens is superior at the telephoto end of the spectrum (f/2.8 vs. f/4.9), and the G7X Mark II has built-in Wi-Fi for easy transfer of photos. What are the shortcomings of the Canon G7 X Mark II? It doesn’t shoot 4K video like some higher-end cameras, nor does it have an electronic viewfinder (all shooting is done via the rear LCD). And the G7 X Mark II is more expensive than the RX100 by around $280 at the time of publishing, which certainly is significant. If you don’t need the wide-angle capability and other features, the RX100 is a nice way to save without compromising much in terms of image quality. 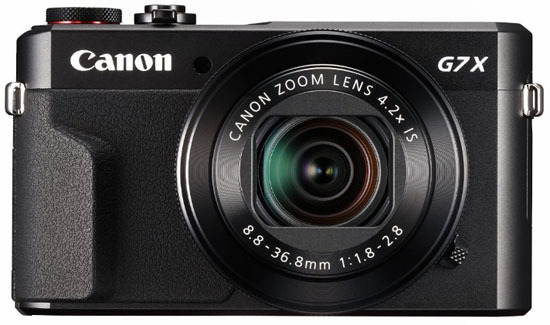 But we think the Canon is the better all-around point-and-shoot for 2019, even if by a small margin. What we like: Bargain basement price; more zoom than competitors like the Sony WSC-800 below. What we don’t: Won’t outperform the camera on most phones. For a cheap alternative to the camera on your phone, or even for children learning the art of photography, the Canon PowerShot ELPH 180 can get the job done. 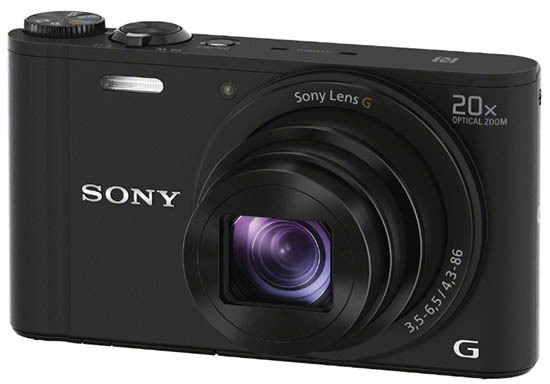 On paper, the specs are pretty darn respectable for the price: 20 megapixels of resolution, a 28-224mm zoom range (significantly more zoom than other budget options like the Sony DSC W800 below), 720p video, and a low weight of just 4.5 ounces. And one of the reasons this camera is so popular is the easy-to-use functionality that Canon is known for. You just point, and shoot. In 2019, our main issue with a camera like the ELPH 180 is that smartphones have rendered it largely obsolete. With its small image sensor and limited optics, a modern iPhone can capture considerably better people photos in Portrait mode, although the zoom on the Canon may come out a little cleaner. But the reality is that many people no longer need or want to carry two devices unless their dedicated camera outperforms their phone in some specific capacity. Unfortunately, the Canon ELPH 180 does not, although as mentioned above, it’s great for kids and those on a tight budget. If you want to spend even less, see the Sony WSC-800 below. What we like: Serious zoom capability for less than $300. What we don’t: Small image sensor and large form factor. In terms of big zoom, you’d be hard-pressed to find a better value than the Panasonic Lumix FZ80. For just under $300, this camera has a whopping 20-1200mm zoom range, which is enough to capture wildlife, sporting events, school plays, and just about anything else that you want to. In addition, the FZ80 shoots quickly at up to 10 frames per second, captures 4K video, and has image stabilization (O.I.S.) for helping to reduce camera shake. Throw in built-in Wi-Fi, and you have an impressive and modern camera at a reasonable price. What are the downsides of the Panasonic FZ80? Part of the reason the price is so low is that the image sensor is small, and it dwarfs in comparison to some of the pricier superzooms on the market that can run $1,000 or more. In addition, the weight of 21.7 ounces means that this camera is far from pocketable—it feels more like a digital SLR or mirrorless camera than a compact point-and-shoot. But despite the shortcomings, the FZ80 packs a whole lot of zoom and features into an inexpensive package, which is why we have it ranked here. What we like: An impressive mix of image and video quality. What we don’t: Less user-friendly than the two cameras above. For enthusiasts and aspiring videographers, the Panasonic Lumix LX10 is an intriguing point-and-shoot option. We absolutely loved the old LX7, and the newer LX10 is very competitive with advanced point-and-shoots from brands like Canon and Sony. Most notable is the f/1.4-2.8 lens, which is the fastest on the list and offers superb low light performance for a compact. The LX10 also shoots 4K video, which neither Canon above is able to do, and has a touchscreen, which even the pricey Sony RX100 V does not. What are the downsides of the Panasonic Lumix LX10? One is the 24-72mm zoom range, which offers less focal length coverage than a camera like the Canon G7X Mark II above at 24-100mm. In addition, Panasonic compacts aren’t quite as intuitive or ergonomically pleasing as other top choices on this list. Canon is known for easy-to-use functionality across the board, and Sony has had 6 renditions of its RX100 series to hone things in. The Panasonic LX10 isn’t difficult to use, but the menu systems, buttons, and camera itself take more getting used to than we would prefer. 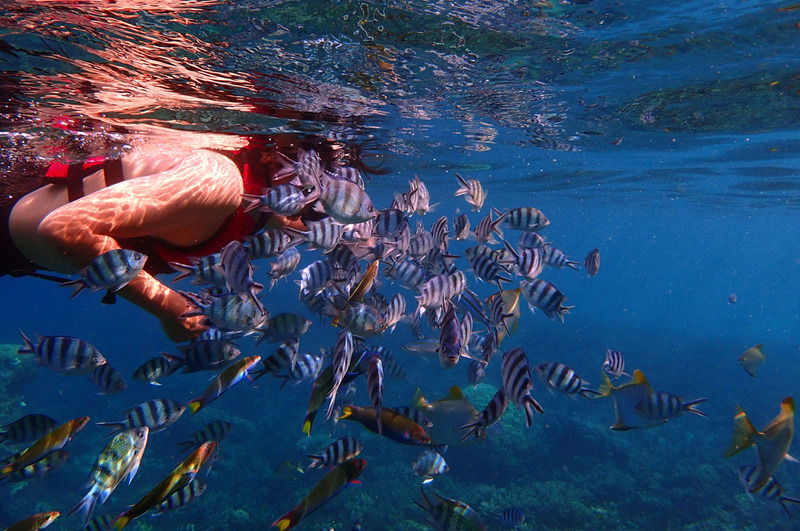 What we like: The only waterproof point-and-shoot to make this list. What we don’t: The casing is nice, but optical performance lags behind. For most outdoor activities, we hesitate to recommend “tough” or “rugged” cameras unless you really need the extra protection. You pay a lot for a small image sensor and meager components, with a big chunk of the money going to the waterproof housing that protects it all. Having said that, the new Olympus TG-5 is a fun camera and the best in its class: it’s waterproof down to 50 feet, dustproof, freezeproof, and has a respectable maximum aperture of f/2 for low light and underwater photos. We also like the 25-100mm zoom range, which goes wider than other tough cameras from brands like Canon and Nikon that are 28mm at the wide end. Keep in mind that the small sensor and marginal optics on this camera limit the quality of the photos and videos it produces, and particularly for $399. The TG-5 was released two years ago but with few notable upgrades (and one notable downgrade to 12 megapixels from 16 on the TG-4). The newer version does have improved toughness, better fog prevention on the lens, and a cool “Microscopic” mode for underwater photography. But we’re still waiting for a bigger jump in the waterproof market—a more serious underwater camera like the SeaLife DC2000 has a larger 1” sensor but is lacking in user experience and features. What we like: The same sensor as the pricier G7 X Mark II above for less money. What we don’t: Lacking in advanced features. Yes, Canon makes more expensive point-and-shoots like the G7 X Mark II above, but the G9 X Mark II may be a better value. You do have to cut back on features—the G9 X Mark II lacks an electronic viewfinder, has a fixed rear LCD, and a slightly smaller zoom range. 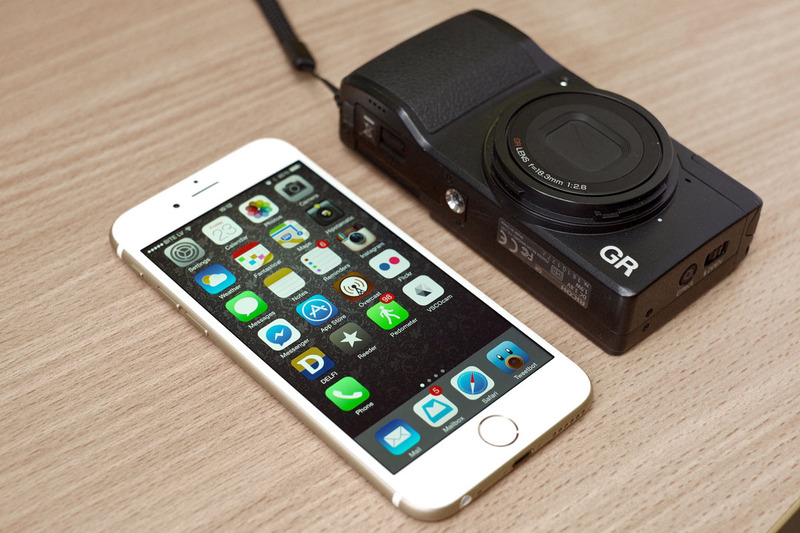 But most importantly, the G9 X Mark II has the same large 1” image sensor and packs a punch in terms of image quality. If you don’t mind lining up your shots via the LCD screen, this is an awesome compact camera for travel, everyday use, and even the outdoors (it only weighs 7.3 ounces). 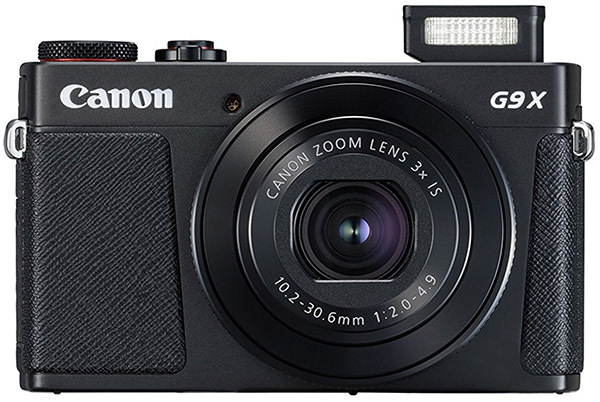 Two years ago, Canon released the Mark II version of the camera, with the original G9 X selling for slightly less at the time of publication. The cameras share the same 28-84mm f/2-4.9 lens, but upgrades include a newer image processor, Bluetooth connectivity, and a slightly lower weight (the older version is approximately 7.4 ounces). The changes aren’t groundbreaking, but we think worth the extra cost. 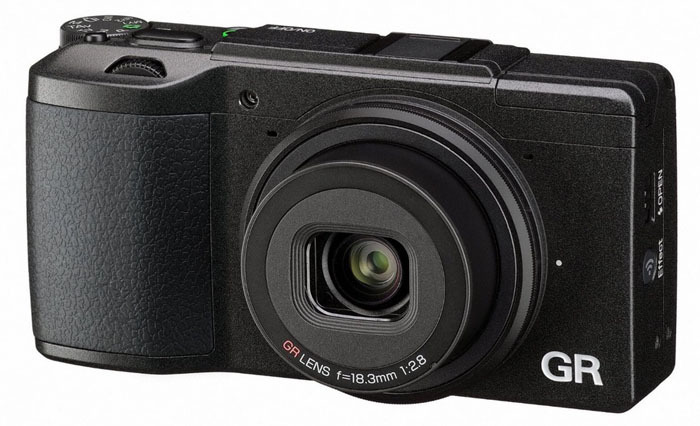 But for those looking to save, the G9 X still is available while supplies last. What we like: A healthy zoom range and feature set in a compact package. What we don’t: No 4K video. For travelers and others looking for maximum versatility in a small form factor, check out the Sony WX350. Unlike true superzooms like the hefty Panasonic FZ80 above, the WX350 checks in at an incredibly light 4.8 ounces yet still manages a healthy 500mm of zoom. And Sony has included most other modern features here, including Wi-Fi, image stabilization, fast shooting for action photography, and a host of fun modes to liven up your photography. Keep in mind that this camera does not come with 4K video—for that functionality, you’ll need to step up to the Sony DSC-HX99 or RX100 line (specifically, the RX100 IV and later). Speaking of the Sony DSC-HX99, that nifty little point-and-shoot is one of the most likely competitors to the WX350 listed here. For the roughly $200 jump in price, you get a wider focal length range (24-700mm), 4K video, and a Carl Zeiss lens, albeit with almost the exact same aperture range. Given that the DSC-HX99 weighs quite a bit more at 8.5 ounces, for non-video shooters who don’t need the 4K, we give the nod to the cheaper WX350. What we like: Huge zoom for such a small and lightweight camera. 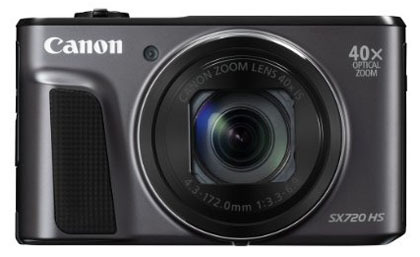 The Canon SX720 HS is the quintessential all-rounder in its price range. This sleek camera is lightweight, pocketable, offers big-time zoom at 24-960mm, shoots respectable Full HD 1080p video, and has built-in Wi-Fi for transferring images on the fly. And at under $300, it makes a really nice compact travel camera and higher-quality alternative to your phone. If you don’t need the zoom capability of this camera, we would at least consider spending up for a camera like the Sony RX100 below. The image sensor on the SX720 HS is considerably smaller than the RX100, and the lens and low light performance are inferior as well. For a cheaper option from Canon, the older generation SX710 HS has less reach at 25-750mm but the same megapixel count and similar image quality overall. And the new SX730 HS offers improved resolution at 20 megapixels but is more expensive and has the same zoom range. What we like: A superb point-and-shoot for travel with an APS-C sensor. What we don’t: Fixed lens and high price. We really liked the old X100T, but the new X100F is even more impressive. For 2019, this is Fujifilm’s premier point-and-shoot and a great option for travel and street photography. 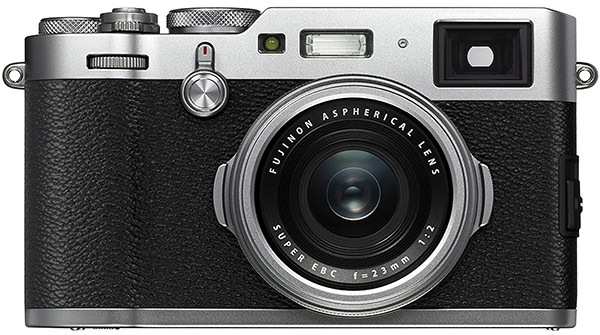 Essentially, the X100T packs the guts of Fujifilm’s mirrorless cameras but with the size and simplicity of a compact. Most impressive is the extra-large APS-C image sensor, which is more than three times as big as the Sony RX100 series and high-end Canon point-and-shoots like the G7 X Mark II. Compared to its predecessor, the X100F got a nice bump in megapixels (24.3 vs. 16.2), improved autofocus, faster continuous shooting, and better battery life, among other features. The biggest downside of the Fujifilm X100F, and the reason it remains less popular than the cameras above with smaller sensors, is the fixed lens. 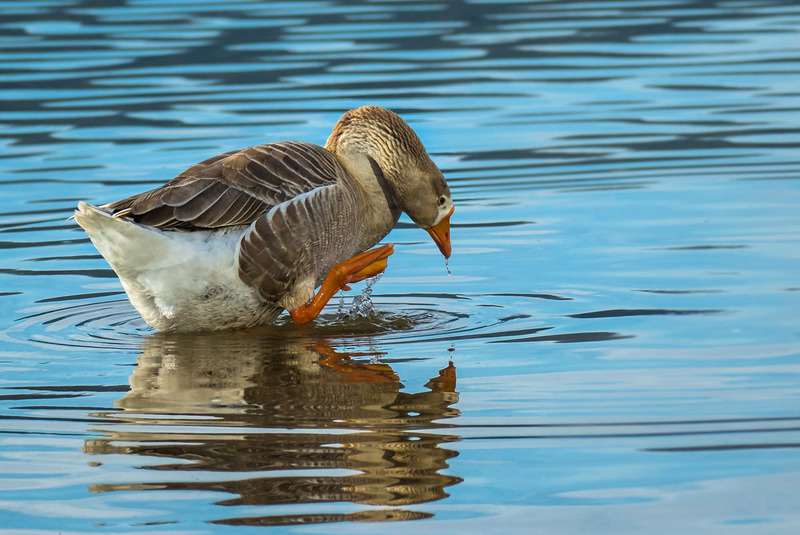 With a 35mm focal length equivalent and a fast f/2 maximum aperture, image quality is excellent but you just don’t get the versatility of a zoom lens. Professionals and enthusiasts love the camera and the photos can rival a mirrorless camera or DSLR at less than a pound all-in, but you better like that 35mm focal length. And one more consideration: the X100F does not shoot 4K video, making cameras like the LX10 and RX100 VI preferred options for videographers. What we like: Big-time zoom and a great value. What we don’t: Bulky and has a small image sensor. If you’re looking for huge zoom at a reasonable price point, check out the popular Canon SX530 HS. For just under $250, you get a massive 24-1200mm of range along with image stabilization and Canon’s signature easy-to-use functionality. This superzoom camera is large and definitely will not slide into your pocket, but for travel, sports, and everyday use, it packs a whole lot of punch for the price. Why is the SX530 HS not higher on our list? 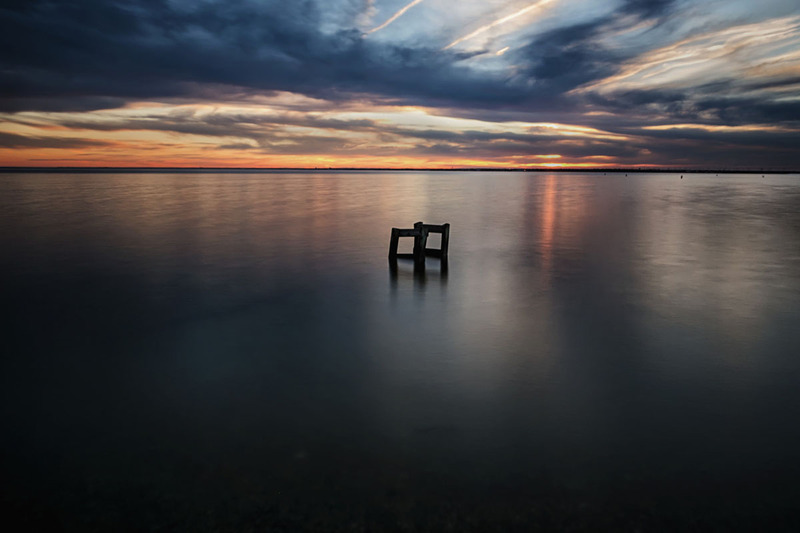 The small image sensor is limiting for those who plan on making prints or shooting in tough conditions. The truth is that you have to a pay a whole lot more for a superzoom with a large sensor (see the Panasonic FZ1000 below). But for those looking a budget DSLR alternative with a ton of zoom and good features, we like the SX530 HS. What we like: One of the best values on the market. What we don’t: Getting a little long in the tooth in terms of features (no Wi-Fi, for example). In the camera world, it’s rare to have a 6-year-old model recommended so highly, but the original version of the RX100 remains the best value in Sony’s lineup. Simply put, the features have evolved quite a bit in the 6 renditions of this camera that Sony has released since 2012, but the image quality is surprisingly similar. Given that the latest RX100 VI is a whopping $1,198—you can get an outstanding mirrorless camera like the Sony a6300 with a lens for that price—we prefer to save with the older model that costs less than half that. 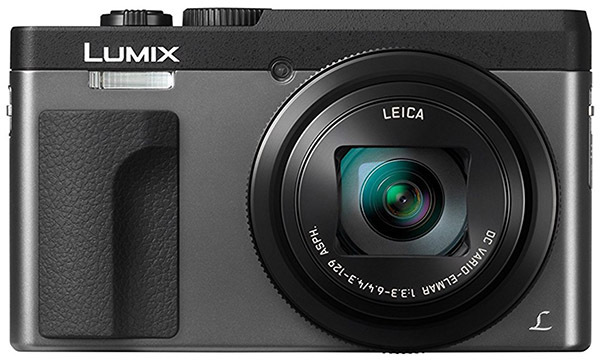 It’s still an outstanding point-and-shoot camera in a compact and lightweight body. 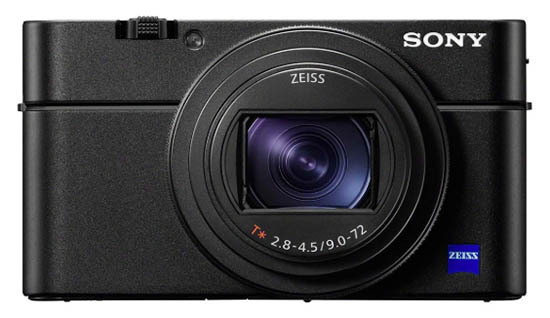 What do you sacrifice by going with the original Sony RX100? An electronic viewfinder first was available on the RX100 III, which is a very nice addition, and 4K video was introduced on the RX100 IV. Further, the latest version is superior at the telephoto end (f/4.5 vs. f/4.9) and has a blazing-fast burst rate of 24 fps. All of those features matter, but the image sensor and megapixels remain almost identical. At some point we’ll have to remove the RX100 from this list, but given the price, it won’t be without a good fight. What we like: Tons of zoom and a 1” sensor. What we don’t: Very heavy for a point-and-shoot. If the size of your point-and-shoot isn’t a primary concern, give the FZ1000 from Panasonic a serious look. With this camera you get a large 1” image sensor along with an extraordinary amount of zoom at 25-400mm (this specialized category of point-and-shoot has earned the moniker “superzoom”). Other point-and-shoots offer even more zoom in smaller packages, but those models have also considerably smaller sensors and can’t compete with the optical quality of the FZ1000. And the cherry on top: the FZ1000 is one of the only cameras on this list that shoots 4K video. The obvious concerns with a superzoom like the Panasonic FZ1000 are size and weight. 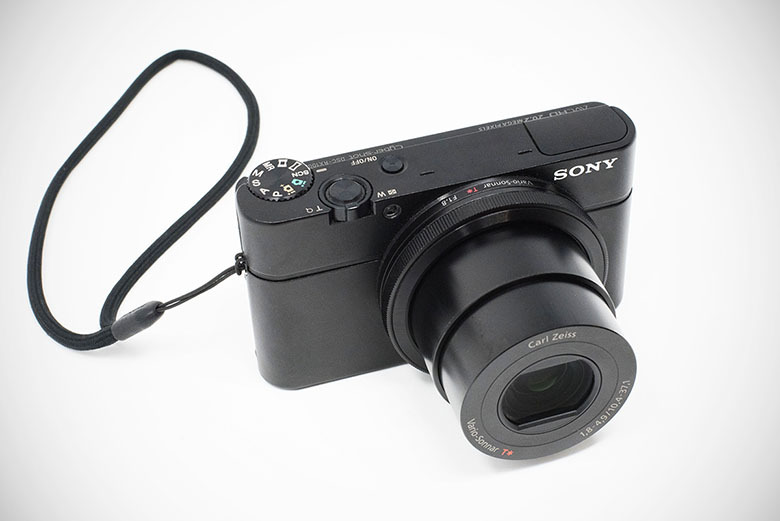 This point-and-shoot is literally the size of a small DSLR, weighing in at a hefty 29.3 ounces. You certainly won’t be sliding the FZ1000 into your pocket, but the versatility and convenience are attractive for travel and for those who don’t want to carry and switch out multiple lenses. To be sure, it’s a viable alternative to an entry-level DSLR, albeit with a smaller sensor. What we like: DSLR-like image sensor. What we don’t: No zoom isn’t for everyone. The Ricoh GR II doesn’t represent a major update from the original GR, but it’s still one of our favorite pro point-and-shoots. Its most notable feature is the huge APS-C image sensor—the same size as many digital SLRs—in a compact body that weighs less than 9 ounces. You also get built-in Wi-Fi and other minor improvements like faster shutter speed and buffering. Keep in mind that the GR II has a fixed focal length lens equivalent to 28mm on a 35mm camera, which is great for travel and outdoor photography but isn’t for everyone. If you want professional-grade image quality in a tiny package, the Ricoh GR II is better at 28mm than any other model on this list. If you want the versatility of a zoom lens from your point-and-shoot in the same price range, the cameras above are better bets. 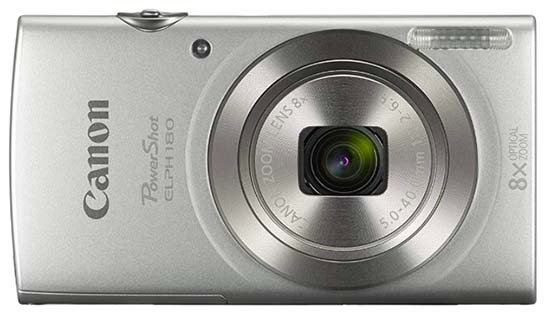 What we like: A pro-level point-and-shoot that is absolutely packed with features. What we don’t: High price; slower lens than previous versions. Sony’s RX100 series is a storied line of premium point-and-shoots, and for years had a place at or near the top of this list. Let’s start with the good: the RX 100 VI, the sixth and latest model, has just about every feature you’ll find in a compact of any price. You get a Carl Zeiss lens with a 24-200mm range, a large 1” image sensor, 4K video, advanced autofocus that is light years ahead of cheaper point-and-shoots, and just about all the other bells and whistles you could ask for. And at 10.6 ounces, it’s the ultimate travel camera for those who want an alternative to their heavier interchangeable-lens set-up. Why is the Sony RX100 IV ranked all the way down here? The biggest reason is price: unless money was absolutely burning a hole in our pockets, we would not spend $1,200 on a point-and-shoot with a lens of this speed (more on that in a moment). For that price, you can get a solid mid-range mirrorless camera that will far outperform this Sony. Second, on the RX100 IV, Sony decided to extend the zoom range to 24-200mm from the 24-70mm found on previous models. We appreciate the extra zoom, but the lens is now a pedestrian f/2.8-4.5, sacrificing some of that low light performance and that creamy bokeh we love. If you need the latest and greatest, the RX100 VI is exactly that. But if image quality and value are important factors in your buying decision, we prefer the other premium point-and-shoots listed above. What we like: A feature-packed camera with a sleek design. 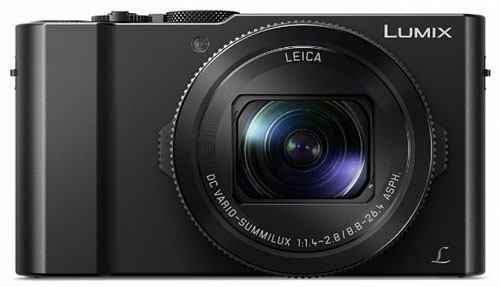 What we don’t: Smaller sensor and slower lens than the LX10 above. 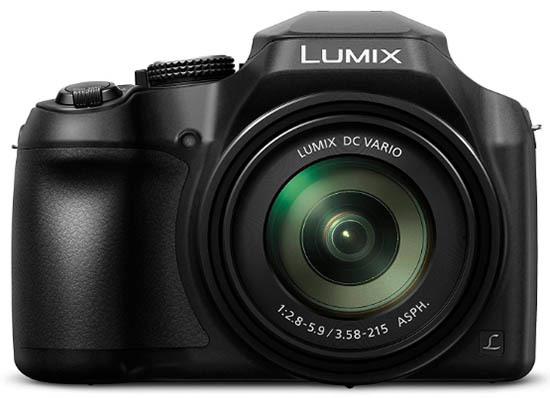 If you like the looks of the Panasonic LX10 above but want more zoom, the ZS70 is a nice mid-range option. This point-and-shoot offers an impressive list of features for a camera in the sub-$500 price range, including 4K video, an electronic viewfinder, and a super versatile 24-720mm Leica lens. We also love the design and feel of the ZS70, which is sleek and functional while weighing just over 11 ounces. Panasonic point-and-shoots have been growing in popularity of late and travel zooms like the ZS70 are big parts of that equation. The reasons that we would hesitate to spend for this camera are the image sensor and aperture of the lens. With a relatively teeny 1/2.3" sensor, the Panasonic ZS70 just can’t compete with the heavy hitters in terms of overall image quality. And one of the things we love most about the LX10 is its blazing fast f/1.4-2.8 lens, while the ZS70 clocks at a much slower f/3.3-6.4. The bells and whistles certainly are there with this camera and it’s a lot of fun to use, just don’t expect premium image quality or low light performance. What we like: Goes slightly wider than the SX530 HS above at 22.5mm. What we don’t: Autofocus and Wi-Fi connectivity issues. Nikon hasn’t exactly been dominating the point-and-shoot market over the last few years, with brands like Sony, Panasonic, and Canon taking the reins. 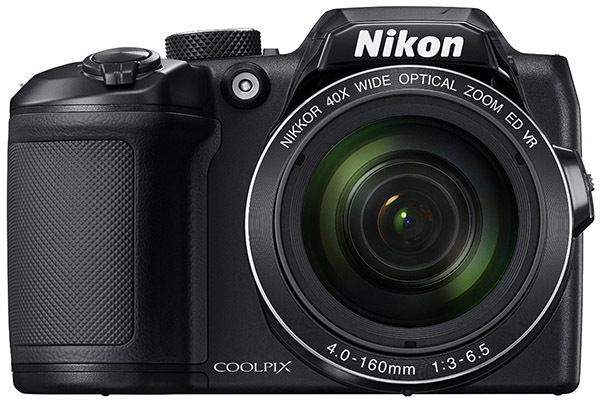 But we do like the Coolpix B500, a superzoom competitor to the popular Canon SX530 HS above. Both cameras are similarly priced and offer a ton of versatility with big zoom ranges. At the same time, both have small image sensors, few manual controls, and use 4 AA batteries, which adds to the cost over time unless you go rechargeable (and even that set-up costs something). Why do we have the Canon SX530 HS ranked higher than the Nikon B500? We like the extra zoom (it goes longer at 1200mm), plus it weighs a few ounces less. Further, some users have reported that the B500 has trouble connecting to Wi-Fi, and like most budget superzooms, autofocus has a tendency to hunt. One upside of the Nikon B500 is that it goes slightly wider at 22.5mm vs. 24mm on the SX530 HS. This may not seem like much of a difference, but for landscape photography and the outdoors, we’ll take anything extra we can get. What we like: Bargain basement price and small size. What we don’t: Image quality will leave many people wanting more. At this low of a price point, you shouldn’t expect wonders from your point-and-shoot camera, but that doesn’t mean it’s not worth buying. 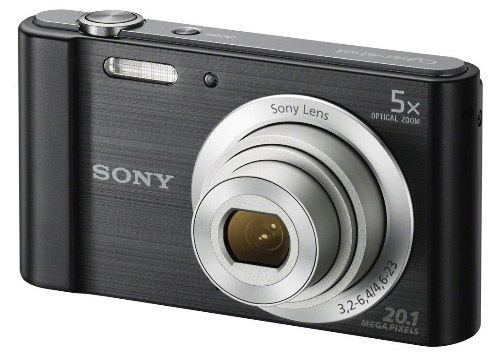 The DSC-W800 from Sony comes in a featherweight 4.7 ounces yet packs 20.1 megapixels of resolution and a 28-130mm zoom lens. This camera is significantly smaller than a smartphone and takes better photos, although it’s debatable whether the jump is worth having two separate devices. We like the concept of having the W800 on trips where you may not want to bring a phone or want something smaller—this camera will easily slide into a pocket and you’ll barely know it’s there. Some users have complained about occasional blurriness and a general lack of sharpness, but you can’t beat the size or price. What About a Memory Card? Given the rise of camera phones and their continually improving quality, in 2019 most camera manufacturers are focusing their energy on enthusiast or professional point-and-shoots. Many of these cameras have large 1” image sensors, fast lenses, and a number of handy features like tilting LCD screens and 4K video. Much of the top half of this list consists of enthusiast models, led by the Canon G7 X Mark II and Sony RX100 series. Mid-range point-and-shoots usually are big on features but sacrifice in the size of the image sensor (many are a relatively small 2/3"). If you don’t plan on enlarging your photos or want features like big zoom at a reasonable price point, mid-range cameras are a nice compromise of price and performance. To be sure, this end of the point-and-shoot spectrum is retreating. We can remember when almost everyone on vacation carried a cheap point-and-shoot (ourselves included), but the rise of the camera phone makes it impractical to carry two devices that do similar things. The latest iPhone, for example, has pretty darn impressive cameras (plural) and a Portrait Mode that rivals or outperforms an entry-level point-and-shoot. And even if a designated camera is slightly better on paper, the convenience of a smartphone wins out. For these reasons, we generally recommend going with an enthusiast or mid-range model. The exceptions, of course, are if you don’t own a phone with a camera or don’t want to carry it with you while doing activities like backpacking or skiing. Point-and-shoot cameras have an attached lens, as opposed to interchangeable lenses found on DSLRs or mirrorless cameras, and many models have a fairly versatile zoom. For example, the Sony RX100 VI has a zoom range of 24-200mm, but the the Canon PowerShot SX720 HS offers a very impressive 24-960mm, albeit at the sacrifice of other features. A popular trend in recent years has been superzoom cameras, which have an extremely long zoom range up to 1000mm or more. Smartphones are notoriously poor at zooming and this is one way that camera manufacturers can continue to drum up interest. Superzooms are really cool cameras—we love the Canon PowerShot SX530 HS, for example, which has 24-1200mm of optical zoom and costs under $300. Superzooms have two main issues, however. They are considerably heavier and bulkier than normal point-and-shoots (closer to a DSLR than a point-and-shoot, in fact), and the image sensors on superzooms usually are small, often 1/2.3". But for travel, sporting events, school plays, or wildlife photos, these are very fun cameras to use. Before making a purchase, we recommend thinking through which types of photos you will be taking most. Generally, wide-angle photos are taken from 18 to 24mm, street photography at 24 to 35mm, portraits from 50 to 100mm, and telephoto shots from 100mm and up. Only get a superzoom if you plan on using that end of the zoom range frequently. Almost all entry-level and some mid-range point-and-shoots have 1/2.3” CMOS image sensors. The higher the price the more likely you are to get a larger sensor—most high-end point-and-shoots either have 1” or 1/1.7” CMOS sensor. Some professional compact cameras have APS-C image sensors but those are a rarity (the Ricoh GR II and Fujifilm X100F have the largest on this list). A pixel is one dot of information, and digital photographs are made up of millions of these dots. To make the calculations more palpable, we use the term megapixels (mega = million). So if a camera has 18 megapixels, the photographs are comprised of 18 million tiny dots. As described above in relation to the image sensor, the number of megapixels can be misleading. If Camera X has 24 megapixels and Camera Y has 12 megapixels, this does not necessarily mean that Camera X produces higher-quality images. If Camera Y has a larger sensor, higher ISO sensitivity, and a superior lens, you can expect better photos from fewer megapixels.You shouldn’t totally ignore megapixels either. An astute camera buyer should look at sensor size first, then the number of megapixels, and try to gauge how those two numbers stack up against the competition (we’ve tried to make things easier with our handy comparison table above). Generally, the more you pay for a camera the larger the sensor and higher the number of megapixels. 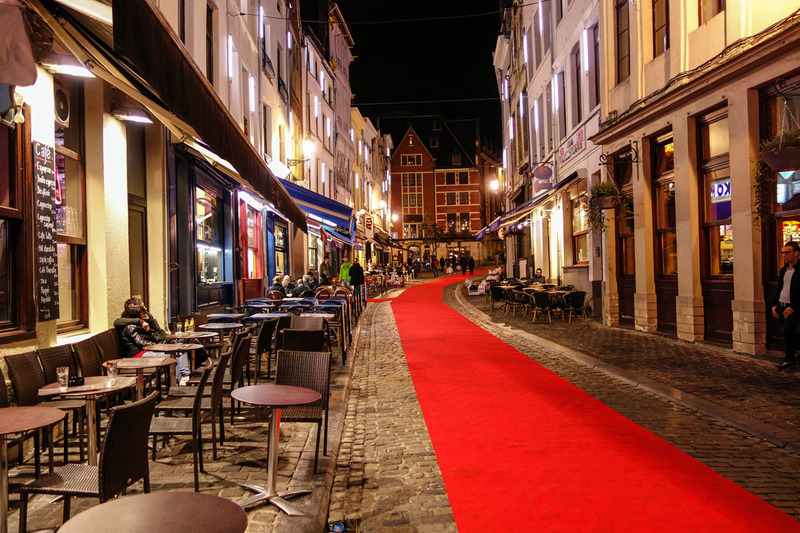 A major point of differentiation between budget and high-end point-and-shoots is the low light performance of the lens and camera. In terms of the lens, the important number to look at is maximum aperture, expressed in f-stops ranging from f/1.4 to f/22 or higher. The lower the number, the wider the lens can open and the more light enters the camera. 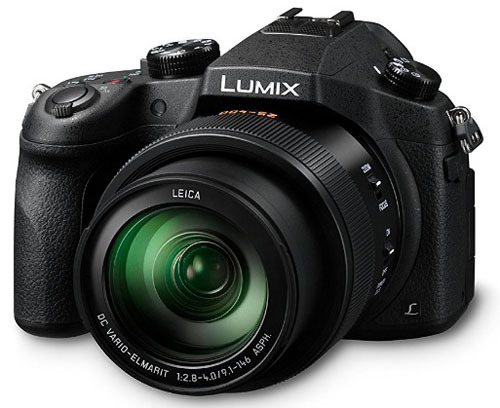 At the low end of the spectrum is a camera like the Panasonic Lumix LX10 with a maximum aperture of f/1.4 and the Sony RX100 series with maximum apertures of f/1.8. Most mid-range and budget point-and-shoots have maximum apertures from around f/2 to f/3.5. You’ll notice that maximum aperture is expressed in two numbers covering both the wide and telephoto end (f/1.8-4.9, for example). In terms of the low light performance of the camera itself, the number to look for is ISO sensitivity (commonly referred to simply as ISO). The higher the ISO, the more sensitive a camera is to light and the less likely you are to get noise (graininess you often see on photos taken by cheap cameras or your smartphone). A camera like the popular Canon PowerShot ELPH 180 isn’t particularly good in low light with an ISO sensitivity of 100-1600, while the Sony RX100 VI has a much more impressive range of 125-12800. Taken together with the maximum aperture of the lens, these factors are what determine the low light performance of your point-and-shoot. Like zoom, video is an increasingly sought-after camera feature. Full HD 1080p (1920 x 1080 pixels) is standard in 2019, even on point-and-shoots. Some budget models only shoot 720p (1280 x 720 pixels), but they are increasingly scarce. At the top end of the spectrum, some professional compacts are now offering 4K video (4096 x 3072 pixels) like the Sony RX100 VI and Panasonic LX10. In terms of overall video quality, there is more to evaluate than just the resolution. The quality of the autofocus, ISO sensitivity, size of image sensor, and other features like image stabilization all play a role in the video your point-and-shoot produces. Dedicated videographers also like to experiment with different movie speeds, with the most common being 60 fps, 30 fps, and 24 fps. Pricier point-and-shoots usually offer more video speeds to choose from. A final feature you’ll often see referenced is a “dedicated movie button.” This means that instead of having to navigate through the menu via the buttons or touchscreen, one button (usually red) on the outside of the camera will have you shooting video almost instantaneously. Again, point-and-shoot manufacturers have to compete with smartphones, and the dedicated movie button is another way that they do so. The method of plugging in your camera to a USB port on a desktop or laptop and uploading photos manually is becoming increasingly unnecessary. Built-in Wi-Fi is a nice perk on many new point-and-shoot cameras, allowing you to transfer and upload photos and video to your device or social media platform directly from the camera. Some even offer light editing directly on camera. The software and Wi-Fi platforms vary by manufacturer, and some are easier to use and less buggy than others, but we like the option of using Wi-Fi when it’s convenient. 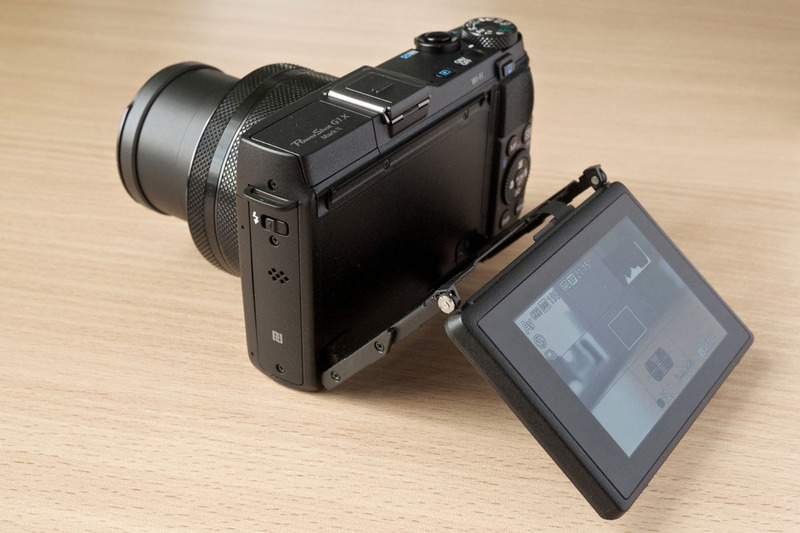 The rear LCD screen is another point of differentiation between point-and-shoots. Most screens are LCD and around 3 inches in size, with the resolution varying significantly across price points. Higher resolution and brighter screens come in handy when the conditions are tough and you are trying to line up a shot. On some high-end models you get a tilting LCD for difficult angles and even touchscreen functionality that can be easier to navigate than with buttons. The LCD screen isn’t a make-or-break feature for us, but they do get nicer as you spend more and the difference is noticeable. Some advanced point-and-shoots have either an electronic or optical viewfinder. This desirable feature means that instead of lining up photos via the rear LCD screen, you can look through the viewfinder located at the top of the camera. For professionals and enthusiasts who demand accuracy and produce a high volume of photos, a viewfinder almost is a necessity. Again, electronic viewfinders are rare on point-and-shoots and usually the territory of digital SLRs and some mirrorless cameras, but on new high-end models like Sony RX100 VI, having an electronic viewfinder undoubtedly is advantageous. 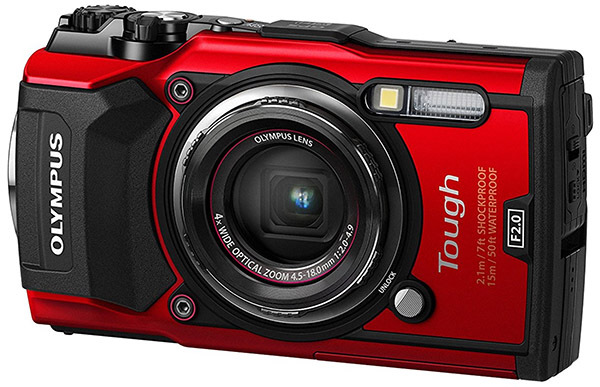 There are a number of “rugged” digital cameras on the market, with our favorite being the Olympus TG-5. These cameras are essentially entry-level point-and-shoots with an exterior casing that makes them waterproof, dustproof, and shockproof (the specificities such as waterproof depth depend on the model). First and foremost, no camera is actually waterproof—you can see by combing through various reviews on sites like Amazon that rugged cameras can spring the occasional leak. Moreover, you pay quite a premium for the extra protection, often getting a camera that is relatively basic in terms of image quality. The Olympus TG-5 currently retails for a pricey $399, despite having entry-level specs—you can get an excellent mid-range point-and-shoot that isn’t weather-resistant for around that price. Rugged cameras make the most sense for activities with serious exposure to the elements like snorkeling, rafting, surfing, climbing, skiing, and snowboarding in inclement weather. They work well for beach vacations too—sand is one of the biggest enemies of any camera or lens and the extra sealing helps to prevent tiny pebbles from entering your electronics. For normal travel and outdoor use, we recommend buying a regular camera that is optically superior and taking reasonable care to store it. Even a normal case inside a Ziploc bag will protect your camera in most conditions. The good news for consumers is that memory cards continue to get faster and cheaper. Just a couple of years ago, Class 10 cards, which have a minimum write speed of 10 MB per second, were expensive and there was an actual decision to make between those and slower Class 4 cards. By 2019, the price of Class 10 cards has dropped to the same range as Class 4 cards and it’s a no-brainer (Class 4 cards soon will be extinct). Our favorite SD memory card for point-and-shoots is the SanDisk Extreme, which offers fast write and read speeds (up to 40 MB/s write and 90 MB/s read). You also get protection from the elements: the SanDisk Extreme is rated as waterproof, shockproof, X-ray proof, and can operate in temperatures from -13 to 185 degrees Fahrenheit. We like the extra peace of mind, but if you don’t care about the durability of your card, the SanDisk Ultra is slightly cheaper. In terms of storage, 16GB is a good size that won’t have you consistently running to your computer to upload and delete photos. If you frequently shoot high resolution video or won’t have access to uploading or another card, 32GB or 64GB cards are available and offer even more bang for your buck.